How Much Should I Actually Charge For A Sponsored Post? You might have heard about bloggers discussing sponsored posts. So, what is a one and what in the world do you charge? This has turned into the one question I see more frequently than any other. 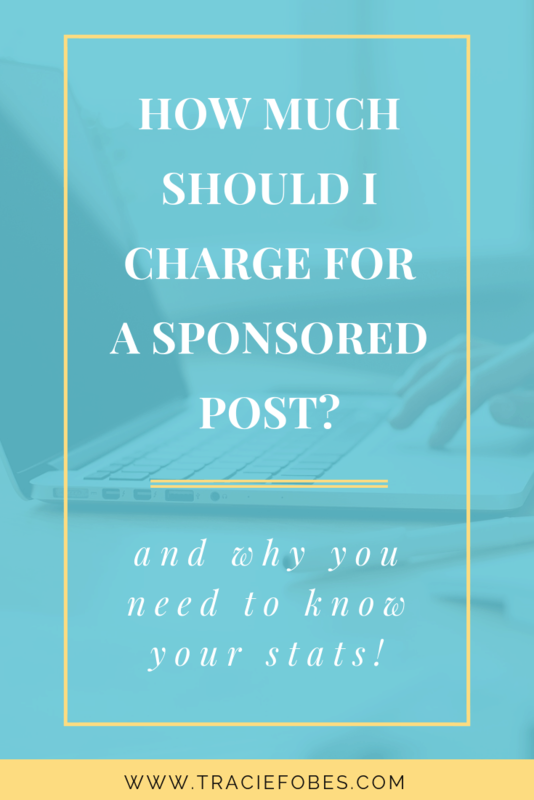 When it comes to those sponsored posts, what do you charge? How do you know how much? What more should I know? Before we jump into what to charge, let’s talk a bit more about these posts. A sponsored post is when a company wants to use your platform to advertise. While most of the time they want you to write a blog post about their company, but it could be a social share, mention in your email newsletter or a sponsored podcast episode. They want to use your voice to talk about their product/service. You will usually write the content, but there are times when the post is provided to you to be shared. The post may be a review of a product or just a regular post where you just create content you would otherwise normally share and include additional links to the sponsor’s site. These are a popular way to advertise because if done the right way, the article does not read like an ad, but is instead, a way to help the user. A sponsored post is a balance of a regular blog post as well as an advertisement. But, the post is better than a standard ad because it comes from you. They work with you as an influencer. Sponsors love to use bloggers and podcasters to get the word out about their brand as it is more affordable. Not only that, but you have a loyal following and your readers trust you. So, if you discuss a product or service, then they will be more likely to use it too. WHY SHOULD YOU DO SPONSORED POSTS? 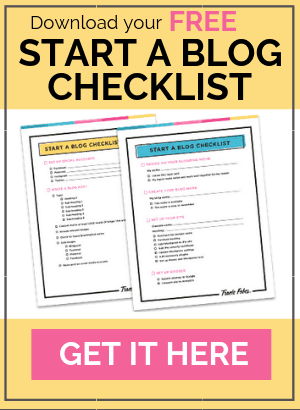 Simply put, they are a great way for bloggers to make money. Since they take time and effort, you can charge more for a sponsored post than you could for an ad placed in your sidebar. Sponsors want to work with you because you are an influencer and have a connection to their target audience. If you are blogging to make money, you may think the best way to do so is by getting traffic to your website. That is how you can make an income. But, relying upon traffic to make money can be stressful. Many bloggers will also supplement by using affiliate marketing in their articles. While this can be a nice way to make money, if you aren’t getting traffic then no one is there to click and buy. A sponsored post is a simple way to generate new content for your site and get paid for it. WHERE DO YOU FIND SPONSORED POSTS? There are two ways to get sponsored posts. You can work with a network or you can reach out on your own. When you are new to sponsored posts, the simplest way to get started is by working within a network. These connect bloggers to potential sponsors. It is easy because you don’t have to look for the sponsor as they come looking for you. You create an account and attach your social media channels and blog as requested. Be sure you accurately complete your entire profile so that the sponsors know as much as possible about you, which can result in better offers. Once a sponsor wants to work with you, they will reach out through the network’s system. Then, follow the instructions to accept, decline or negotiate the offer and then proceed with writing the content. While networks are good, you don’t get to work with the companies you always would like to. If you happen to use a product or service and want to write about it, a sponsored post is the perfect way to do so. You can reach out directly to the brand and see if they would like to work with you or not. Many people have success Tweeting the brand on Twitter about a possible partnership. You may also find a link for marketing on their website so you can contact them that way as well. The last way to find the partner is to research to see if you can find which PR firm they work with, as many will only do sponsored posts through a third party. What do you say in a sponsored post email? If you find someone with whom you want to work, you will need to email them. But, figuring out what to write can be a bit overwhelming. You can keep it short and sweet. There is no need to give too much information up front. Start out by telling them about you, your site, your readership and how you want to work with them. Hi there! My name is __________ and I run the blog _____________. I share ___________________. Since our readers overlap and I already know and want to share your product with them, I’d love to partner to create a sponsored post on my site. Please let me know if you are interested. Thanks and have a great day! Your email does not need to be very lengthy. You don’t need to send your media kit. You don’t even need to (and should not) talk about pricing. Just see if there is any interest and then you can share stats and other details with them as you work through the process. If you are going to work directly with brands, you will need a media kit. Your kit shares a bit about your site, your stats, links and why a brand would want to work with you. It does not need to be fancy, but it should look professional, so it conveys the right message. Your media kit should never, ever include rates. That is something you discuss after they see they want to work with you. And, since you may need to adjust them from time to time, your kit does not lock you into an amount that is less than you should receive. You can check out my media kit on my website. Each of these are given a value. The total value is the amount you should charge for your post. For instance, let’s look at traffic and how to figure a fair rate on this measuring point. To start, look at your Google Analytics. Review your overall page views on the site over the past 3 months. You should always cover three months to cover traffic fluctuations for a more realistic traffic number. Divide that total by 3, which gives you an average for your monthly traffic. Once you know your monthly traffic, divide the total by 1,000. This provides you with a CPM number. a CPM is cost per 1,000 impressions. This is a term advertising networks use to determine how much to pay you, based upon the impressions those ads will get on your site. In order to give you post value, you will use this same calculation. Now that you have your CPM number, you will need to charge a rate. You actually want to figure a range, so that you have a high and low number. This allows you more room to negotiate as may be needed. The range to calculate is $0.80 – $1.25 per 1,000 impressions. Now, this will not the be the final amount you will charge. This is your base rate. You will also include other factors such as social media reach, time to write the post and engagement. You can also consider adding in additional services that you will provide, above and beyond the post. These will increase the final rate that you will pitch to the potential sponsor. The one caveat I want to mention is the least amount to charge. If, after totaling all figures, your total rate to charge is less than $250, you should throw the calculations out the window. You should never charge less than $250 for a sponsored post. One thing I love to do to make more with my sponsors is to add on additional options. I may offer to advertise on Facebook or even do an e-mail newsletter blast where I talk only about them. There may be additional tweets or even a Twitter party. The ideas are endless – but you should charge for them. The simple way I always do this is to provide tiered rates. In fact, I use a standard rate sheet and email that to anyone who may want a sponsored post. It saves me time from having to do the calculations every time I get an email. Once every two months I review my rates. It only takes me a few minutes, but I make sure that I do not need to charge more for my posts. Once I have the base rates determined, I then add in more money for the add-ons. Now, when it comes to pricing the add-ons, I ensure I still make money. So, if I offer to spend $150 in advertising, I will charge at least $200 more for that service. It covers my time to create the ad. Make sure that your add-ons will provide value to your sponsor, but will not force you give more than you can to the campaign. BRONZE: Sponsored post and shares to social media accounts. SILVER: All in Bronze tier + Facebook Ad + two Twitter mentions. GOLD: All in Silver tier + individual e-mail newsletter. The interesting thing I find is that more often than not, my sponsors want to pay for the silver package. I sell a few bronze or gold, but the majority of my sponsors are willing to pay a bit more for the advertising and additional social media shares. You can create any types of tiers you want, based upon what you know you can provide to them. Never offer any options with which you are not comfortable. 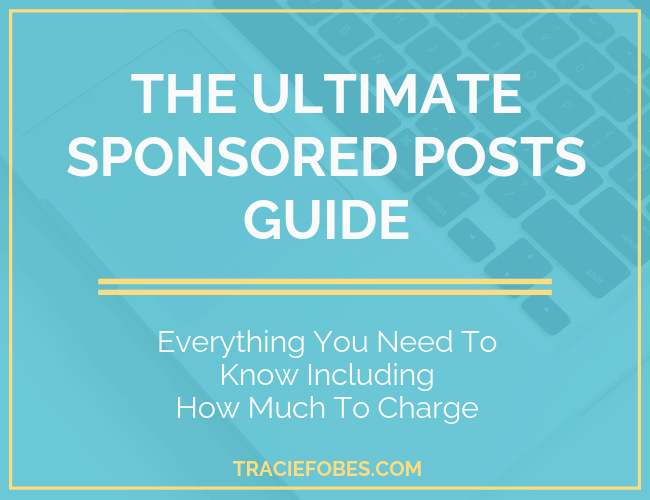 There is, of course so much more to sponsored posts, but this will get you started figuring out how much to charge for your next sponsored post. Your site has value and sponsors know that. Make sure you charge accordingly. One thing that many people tend to forget about when it comes to sponsored posts is the return on investment (ROI). This is what the sponsor is going to get for their investment. Clicks – how many people clicked on the link in the sponsored post? Pageviews – how many sets of eyes landed on the content over a specified period of time? Audience interest – how well did they engage with the content through comments or social shares? It is important that the sponsor provide you with a good landing page that you link to in your article. You can ask the sponsor to provide a tracking link so they can keep track of clicks, or you can make on on bit.ly. Yep. There are legal things you need to know about blogging too. You own your site, but there are still things you need to to comply with the laws and even one you must use to keep Google happy. Many bloggers do not realize that if you do a sponsored post that there are FTC requirements that go along with that. You absolutely must disclose on the article that it is a sponsored post. You can do this either at the very top, before they even read, or naturally in the initial paragraph of your post. You can’t put it at the end as readers must know that you were paid for placement before they read. This is a sponsored post on behalf of ABC company. All opinions are my own. It is time to get busy with your holiday baking! I’ve partnered with ABC company to share a new and simple fudge recipe your family is going to absolutely love! When you place a link that you are paid to put in your site, you must include the no-follow code. The reason is that Google does not want people buying links sites to boost their own ranking. So, the way they avoid this is by having paid links include a no-follow code. That signals to Google to ignore that link when giving out link juice. *Note that if you use something other than WordPress, your link may appear slightly different than this, but you still must include the no follow code. Before you jump in and do your first sponsored post, make sure you fully understand how to use no-follow so you do not get a manual action from Google, which can hurt your rankings. Can I learn more about sponsored posts? If you want to really learn everything you can about Sponsored Posts (beyond what I have here), I can’t recommend PitchPerfectPro enough! Jenny’s students now earn up to 3x what they were before taking her course! She gives you ideas on how to get the right clients, sign up with brands to get contracts again and again and to really make sure you aren’t underpricing or devaluing what you have to offer. so you can start making the money you are worth!! Sponsored posts are a great way to make money for your site and provide valuable content and information to your readers. What about bloggers with small but engaged readership? I don’t think it’s all about numbers I’ve worked with amazing brands who approached me and they’ve offered fantastic prices because they love my writing style and photography. If I followed this I’d be charging less than ten dollars!! Just a thought! That is your BASE rate. In the sponsored post guideline download (see above), I go through other ways to review and increase your rate. I also am very clear that you should never, ever charge less than $250 for a sponsored post. 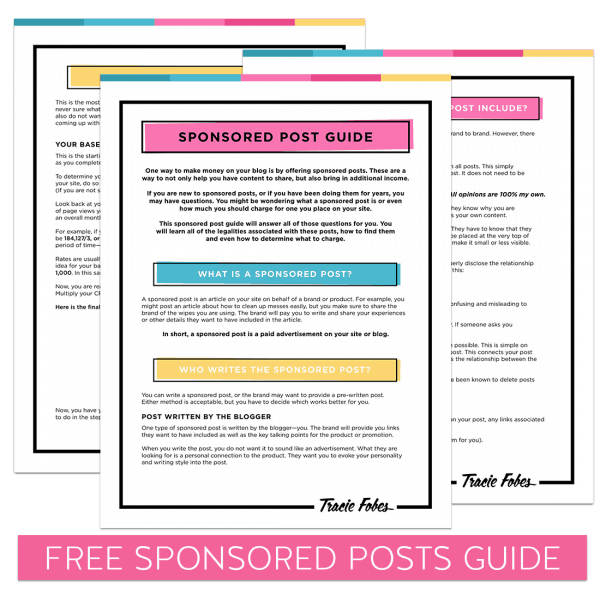 Download that guide to learn more about how to really calculate your sponsored post rate – it has lots of good nuggets. You are very welcome. Good luck – I hope you rock your sponsorships! It sure can. If you have a higher authority, you can absolutely raise that rate. Is the sponsored post rate a fixed amount or a monthly amount? I set it as a fixed amount. If someone wants multiple posts, you can negotiate the rate and payment details accordingly. Thank you for simplifying this! I landed on your page about 1/2 way into my research but this covers everything I need! Thank you again. You are very welcome! And, that is what I was trying to do – to give someone all of the information they needed in one post. Is the charge of $250 no high for a new blog with few posts and engagemen? how can you charge for those? Does location/country play a role in pricing? Location can definitely play a role. Companies have an advertising budget so they will pay. They also have to keep in mind that the content is on your site forever. So they pay now and it will get eyes on it for a long, long time. What a wonderful post – thank you so much Tracie! It gave me just the info I needed to respond to a request tonight. Yeah! Glad that it was helpful for you! Hope you get a great offer for your sponsorship! Thank you for this article, it is very helpful. I am just starting out so am doing a lot of reading/research. I find all your remarks in Carly’s blogging to be so beneficial! Thanks for your willingness to help other bloggers. Have a great 2019! Thanks Julie! Bloggers should all be willing to help one another when they can. If you need anything else, don’t hesitate to email me! This was really helpful. It can be so hard knowing what to charge. This gave me the needed push to set a rate that is fair for all the time I invest in sponsorships.